The act of passionate kissing should never be taken lightly. A kiss when done right can ignite a fire within, it can do more than any touch, it can breathe life into a soul and fan embers long forgotten or as yet discovered. 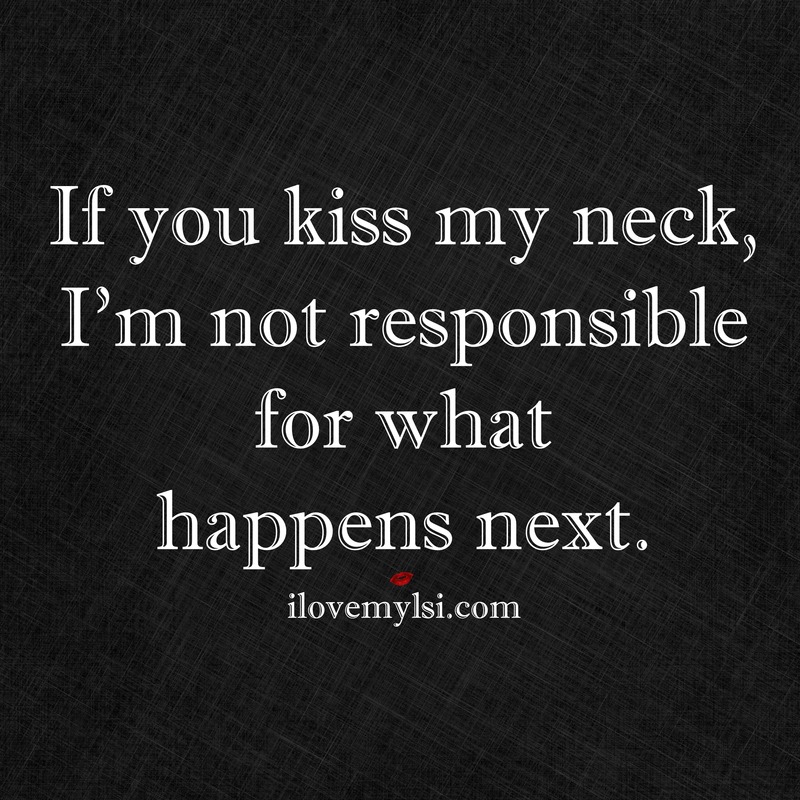 If you kiss my neck, I’m not responsible for what happens next.